Austrian brand SWAROVSKI OPTIK have released an updated version of their popular digiscoping adapter for iPhone 8 owners - called the PA-i8. 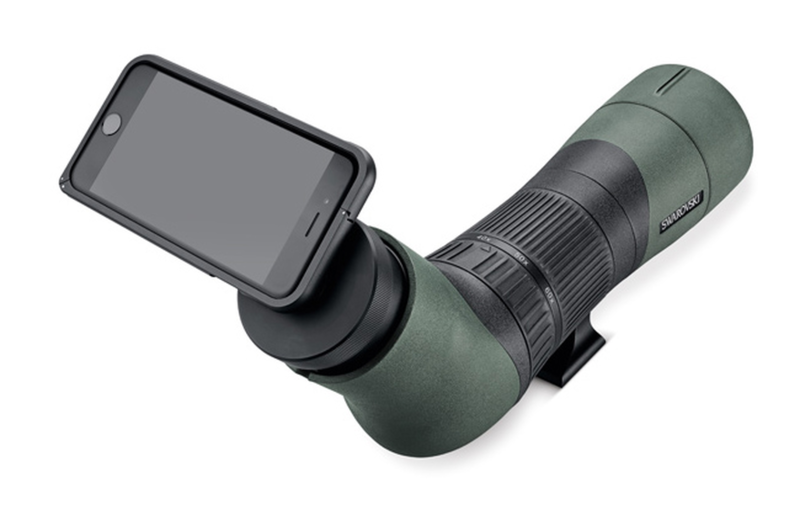 The device is used to attach SWAROVSKI OPTIK spotting scopes and indeed binoculars to your iPhone 8, instantly turning your phone into a telephoto zoom lens - ideal for capturing responsive wildlife images and video while in the great outdoors. ​Next article: Where can you watch owls in the UK?